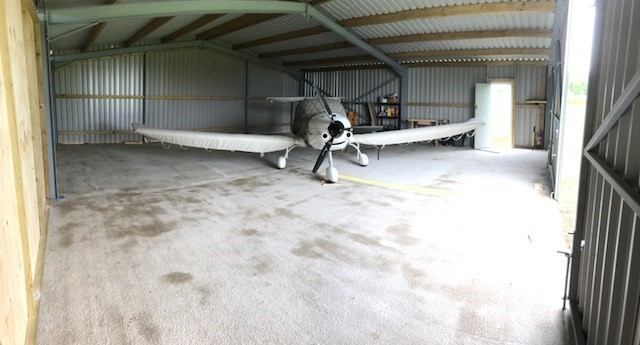 Our steel hangar kits and bespoke steel hangars offer the perfect solution to protect your Microlight-3Axis and Flexwing, Light Aircraft, Gyro and Helicopter. The kits are expertly engineered by pilots for pilots to withstand the harshest of environments. 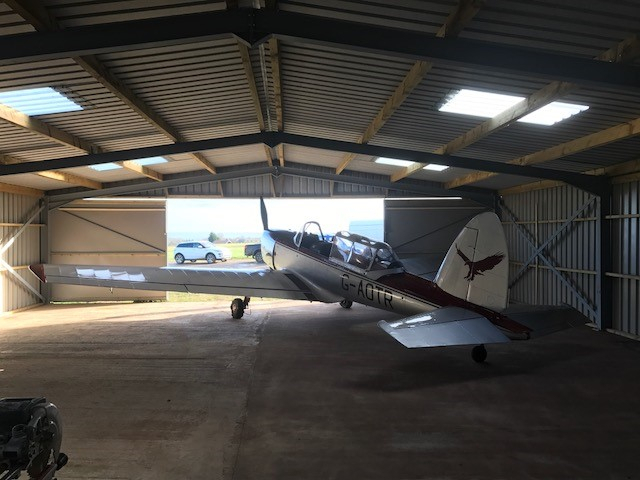 Extremely robust, CE approved and free from condensation and damp.Each cell is accessed through multipoint locking bi-fold doors, complete with integrated personnel door, thus very secure. An armoured GSM linked alarm module is an optional extra. Each kit is transported to site palletised complete with comprehensive instructions for its erection using a lightweight scaffold tower. 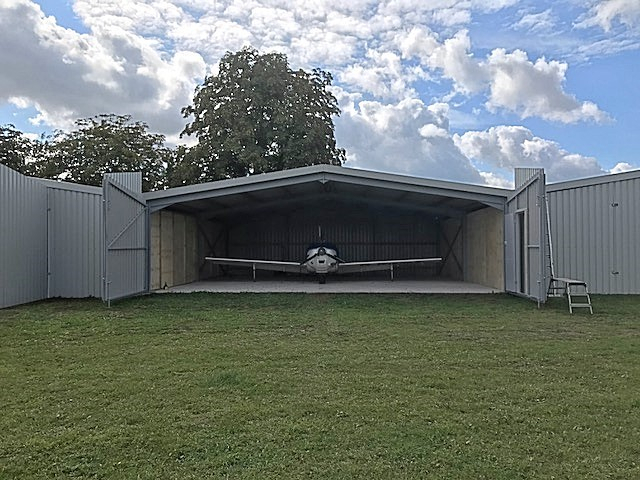 Hangars can be secured direct to grass, concrete or asphalt. An installation and planning service can be arranged.